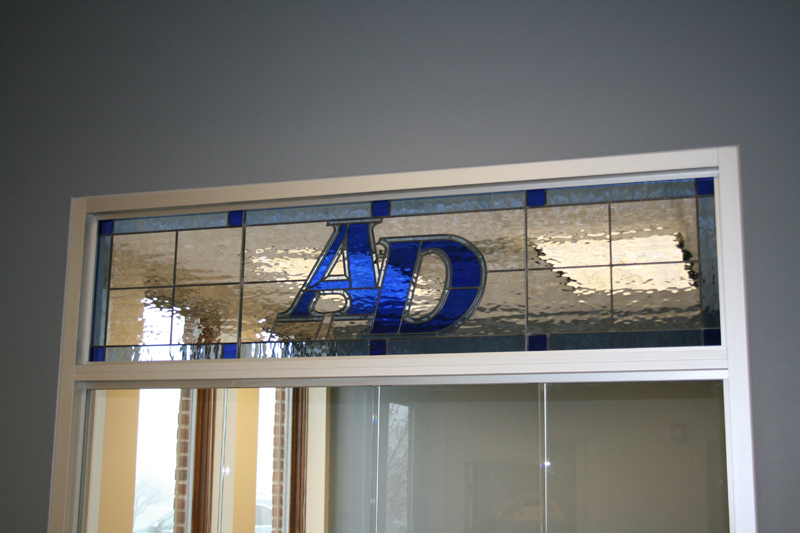 Custom Stained Glass For Your Office, Home Or Business! Stained glass mosaics automatically draw attention with their vibrant colors and extraordinary detail. Unlike regular windows, stained glass windows are not only functional, but they are a work of art. 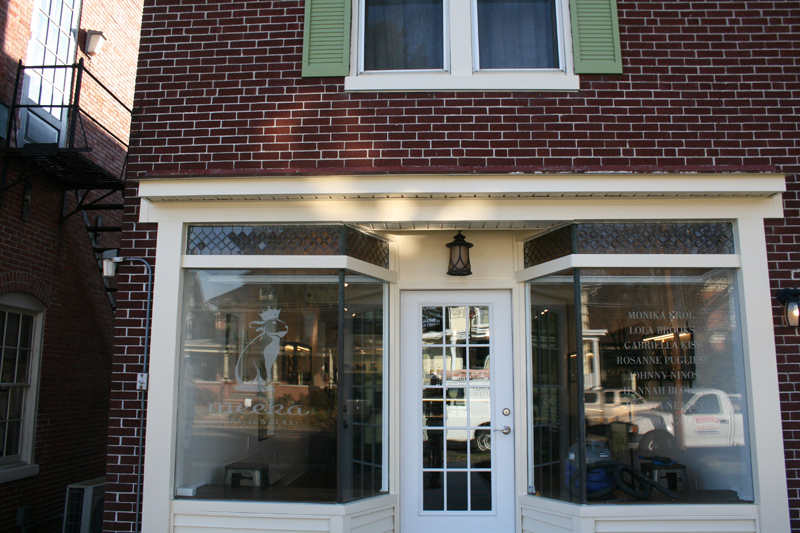 For businesses looking to highlight their facade and provide distinctive ambiance, Cumberland Stained Glass creates new business windows and signs in stained glass. Stained glass windows can be used anywhere, both indoors and outdoors. Traditionally used as window glass, stained glass can also be used to create atmosphere and elegance inside, adorning doors, archways, or even used as walls or on the ceiling. There are many creative and unique ways to use stained glass that will make your business memorable and elegant. Stained glass may be used to elevate or accentuate a certain theme or motif, it may be used to soften harsh sunlight coming through windows, or to give customers privacy without obscuring areas with solid walls. 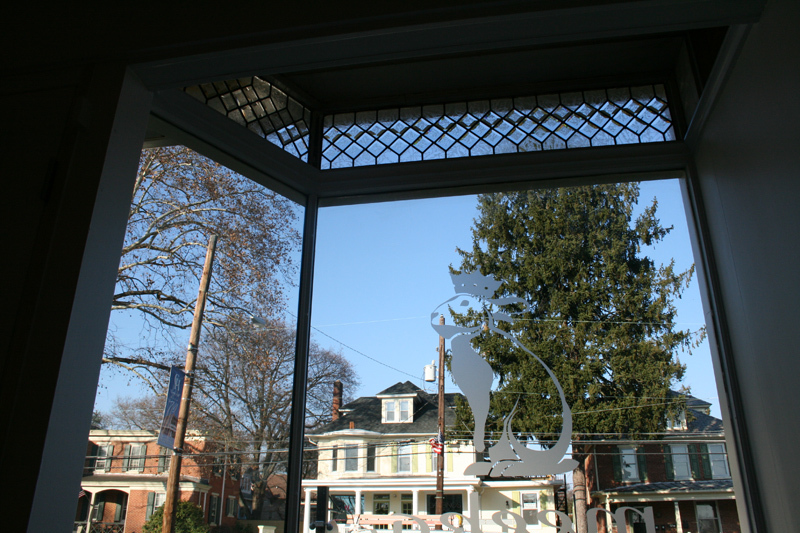 Cumberland Stained Glass will create a unique stained glass piece that fits perfectly into your business. Please feel free to contact us today and learn more about installation and custom designs.